Whether you are a summer visitor or a full-time Hilton Head Island resident, chances are you did not come here to spend more time staring at four walls. One of the greatest pleasures of living and/or visiting here is enjoying a delightful meal with a beautiful view. 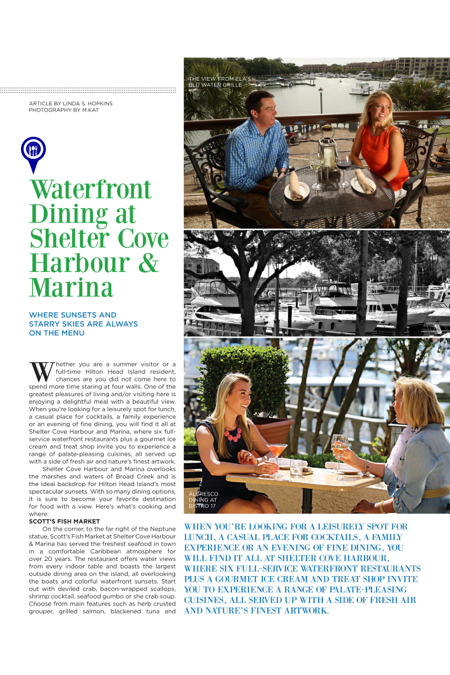 When you’re looking for a leisurely spot for lunch, a casual place for cocktails, a family experience or an evening of fine dining, you will find it all at Shelter Cove Harbour and Marina, where six full-service waterfront restaurants plus a gourmet ice cream and treat shop invite you to experience a range of palate-pleasing cuisines, all served up with a side of fresh air and nature’s finest artwork. On the corner, to the far right of the Neptune statue, Scott’s Fish Market at Shelter Cove Harbour & Marina has served the freshest seafood in town in a comfortable Caribbean atmosphere for over 20 years. The restaurant offers water views from every indoor table and boasts the largest outside dining area on the island, all overlooking the boats and colorful waterfront sunsets. Start out with deviled crab, bacon-wrapped scallops, shrimp cocktail, seafood gumbo or she crab soup. Choose from main features such as herb crusted grouper, grilled salmon, blackened tuna and lightly-battered fried selections and combination platters. Not a fish lover? No worries! Scott’s offers a variety of beef, chicken and pasta specialties and a kids’ menu, too. For added fun, stop off at Hurricane Harry’s Wharf bar (adjacent to Scott’s), where you can enjoy appetizers, tropical drinks, ice cold beer and live music on the docks. Open 4:30-10 p.m., seven days a week, a visit to Scott’s is a vacation within a vacation. (843) 785-7575. This delightful waterfront French-style café, also to the right of King Neptune, features indoor and outdoor seating with spectacular marina views. Here, you can enjoy fine French-inspired cuisine and an extensive wine list in a decidedly unstuffy atmosphere. Start with classics such as French onion soup, coquilles Saint-Jacques, mussels marinere or baked brie. For dinner, you can’t go wrong with wild salmon, grilled jumbo shrimp, duck confit, beef bourguignon or steak frites. Lunch options include many of the same starters as well as salads, sandwiches, frittatas and crepes. Get that French bistro taste and feel without the long line at the airport. Fly on over to Shelter Cove Harbour today and experience a lovely meal and a feast for the eyes. 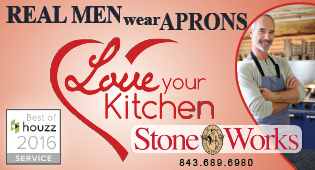 Open daily, 11 a.m.-9 p.m. (843) 785-5517. This harbor-front restaurant, located to the left of the famous Neptune statue and at the corner of the outdoor amphitheater and stage, features authentic Italian cuisine in a friendly atmosphere, with indoor seating as well as a spacious al fresco dining area, including an outdoor bar with five big-screen televisions for sports fans who want to catch a sunset without missing the big plays. Here you can savor your favorite Italian specialties including a variety of classic chicken, veal and seafood dishes, traditional pastas with homemade sauces (think marinara, carbonara, Bolognese and more) as well as hand-tossed, brick oven pizzas and fresh-made calzones. Open Monday-Saturday 4-9:30 p.m. and Sunday 4-9 p.m. Enjoy drink and appetizer specials during the happiest of hours from 4-7 p.m. (843) 785-3300. This Hilton Head Island jewel, centrally located on the harbor, specializes in homemade Lebanese cuisine in a relaxing atmosphere with views of Shelter Cove Harbour as well as close proximity to the outdoor amphitheater and stage. Healthy Mediterranean selections include Lebanese steaks, lamb, seafood and vegetables with vegan and gluten-free options as well. They also serve Shawarma sandwiches, shish kabobs, a Mediterranean seafood platter, Tabbouleh and Fattouch salads and more. Mediterranean Harbour takes pride in offering authentic meals with fresh ingredients—all made-to-order and seasoned to perfection with imported Mediterranean herbs and spices. (Children’s choices include all-American hotdogs, chicken nuggets and burgers.) With both indoor and outdoor seating options, dine in a unique atmosphere while enjoying popular Mediterranean dishes that you cannot find anywhere else in the area. 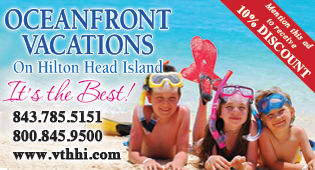 Open daily from 11:30 a.m.-9 p.m. (843) 842-9991. When you’re looking for a tasty nibble or refreshing drink between meals, stroll over to the next block of buildings beyond the amphitheater and keep your eyes peeled for Frosty’s Italian Ices and More. Specialties include Italian ice, ice cream, gelato, frozen yogurt, homemade fudge, specialty coffees, fresh baked cookies, pastries and assorted treats. (843) 341-5423. Don’t let the sun go down without a visit to San Miguel’s Mexican on the Marina. Nestled in the corner beside Harbourside Yacht Sales and Frosty’s, and serving authentic Mexican food since 1977, prepare for a full sensory feast. Quench your thirst with the island’s best margaritas and spice up your life with your south-of-the-border favorites in a laid-back atmosphere featuring some of the island’s best scenery and most intriguing people-watching. For a party in your mouth, start with chili con queso dip or guacamole served with tortilla chips or traditional black bean or tortilla soup. Move on to outrageous chimichangas, sizzling fajitas, enchiladas, nachos, tacos, burritos, pork carnitas or a combination plate. Eat in or dine out by the water and enjoy live music on the deck, all while taking in the sunset and dancing under the stars. Open daily for lunch from 11:30 a.m.-5 p.m. with happy hour from 4-6 p.m. Mon.-Fri. Dinner is happening nightly from 5 p.m. until. (843) 842-4555. Shelter Cove Harbour & Marina is conveniently located mid-island at 1 Harbourside Ln., opposite Palmetto Dunes Oceanfront Resort. 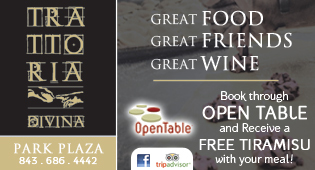 For reservations and more information, please call the individual restaurants or visit their websites for menus. Dinner reservations are encouraged to ensure the table and time of your choice. 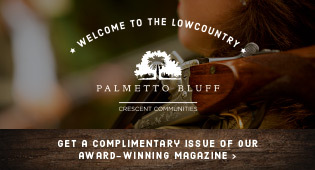 For general information and additional activities and events happening on the harbor, visit palmettodunes.com/shelter-cove.